Strange Relations release their new EP Going Out via Tiny Engines on 8th July. It marks the band as ones to watch; with a new album coming in 2017 this is going to be a big couple of years for the band. There’s a perfect fusion of dream pop, shoegaze and post rock at the heart of their sound. Sure this may come in at the poppier end of the spectrum, but this is pop music with big ambitions and an expansive sound that sets it out from the crowd. There’s something intoxicating about Strange Relations, whether it be the more traditional dream pop tones of ‘Ceremonies’ or the more experimental and Sonic Youth-esque ‘Predation’ you know you’re onto something special here. They’re more than your average band, the grandeur and refined swagger behind ‘Weeknites’ has to be admired while ‘Drift’ blends the chaotic with the sublime superbly. 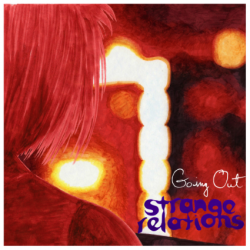 Infectious and grin inducing, get all over Strange Relations now.